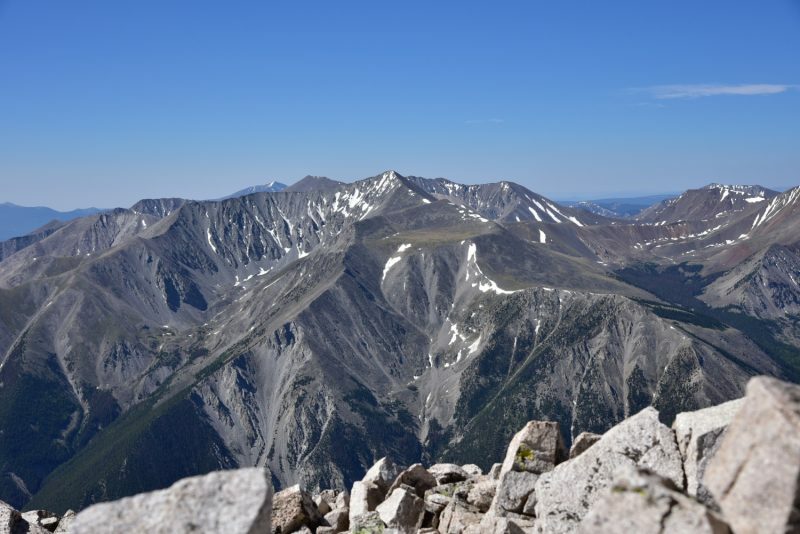 Though the hike up Mount Princeton will be described in better detail as we go along, the photographs above provides a fairly accurate summary of this mountain for those seeking to summit this summer. 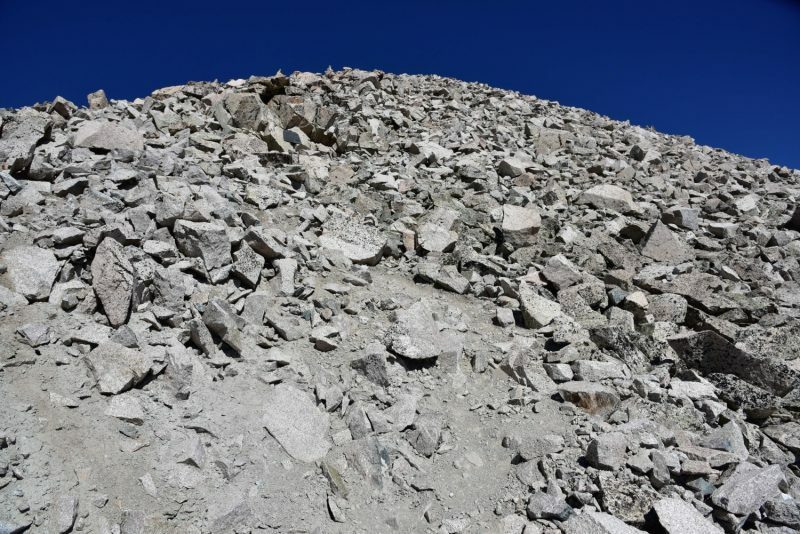 Talus hopping, navigating steep scree- filled slopes, and dodging the apparent infestation of spiders spinnning their intricate webs among the maze of rock were interwoven into our day. 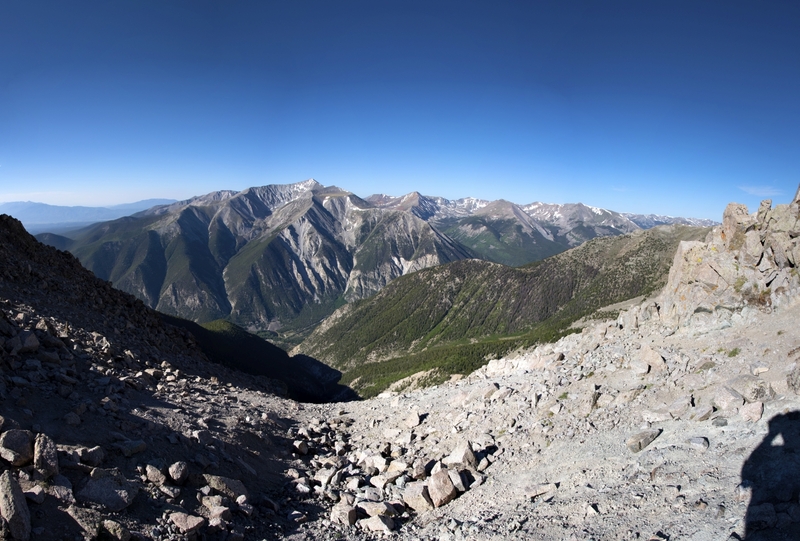 In between the scree surfing and selecting our next boulder step, we drank in the views of the bright blue sky above us and the exquisite alpine around us. 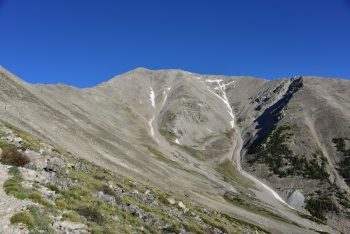 Mount Princeton is one of the Collegiate Peaks located in the Sawatch Range. 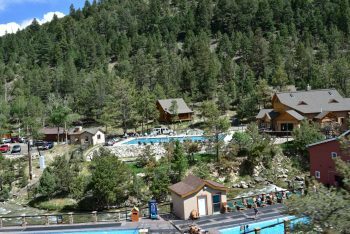 It’s 14,197 feet above sea level and prominently sits above the small mountain town of Buena Vista. 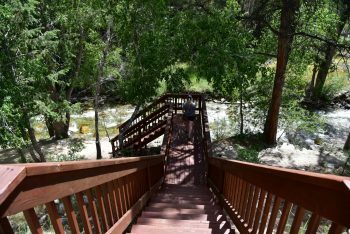 The lower TH is easy to get to, with a large parking area, but be warned, starting from here makes for a much longer, more strenuous day. 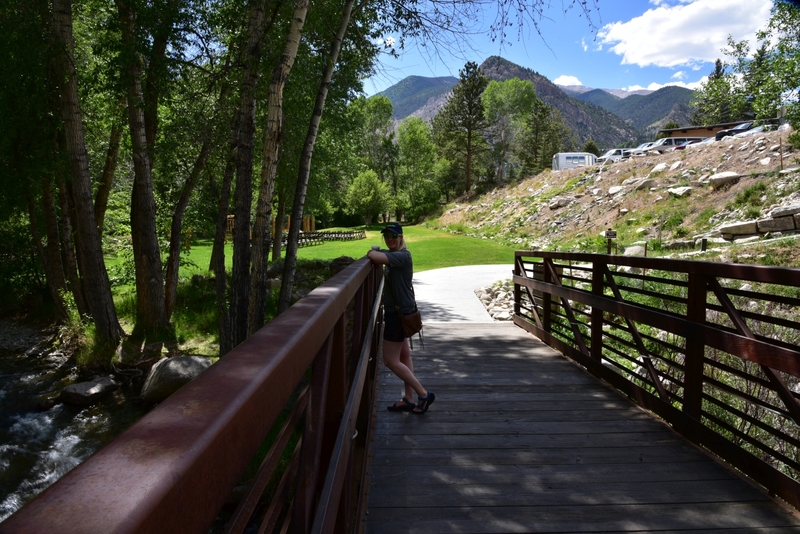 Hikers will need to gain 5,400 feet of elevation and hike a total of 13.25 miles. 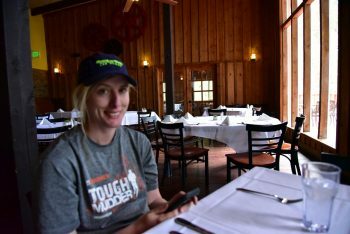 We chose to take the X-terra with brand new all-terrain tires up the narrow 4WD road to reach the upper trailhead and camping spots located just past the radio towers. 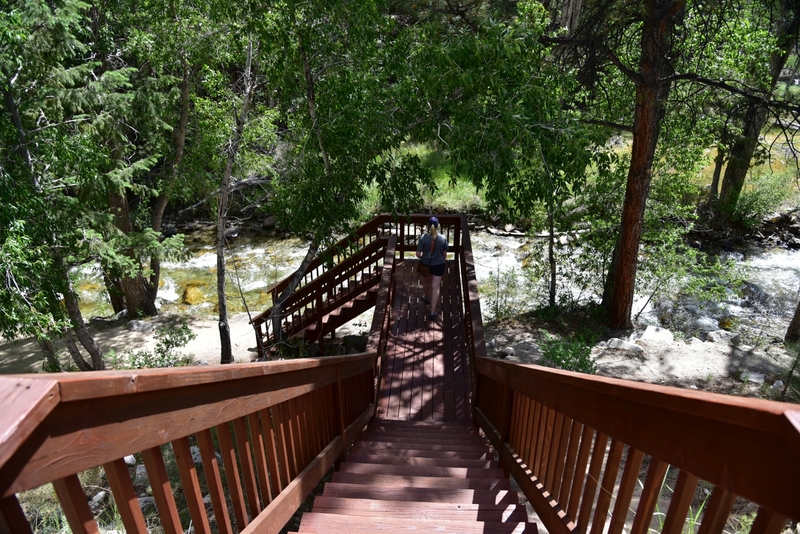 This reduced the gain and round-trip mileage to around 3,200 feet and 6.5 miles, respectively. Almost immediately, we encountered large dips and steeps gains along the road. However, the biggest challenge of the road is how narrow it is. There were several long stretches of the road in which there was no way for two-way traffic. We headed up around 4:30 pm on a Thursday afternoon hoping to not encounter any down hill traffic. Unfortunately, about half a mile up, three large suburbans/trucks were heading straight for us. While uphill traffic has the right of way, there was a small pull-out about 500 feet below, so we carefully backed down the road to let the others pass. 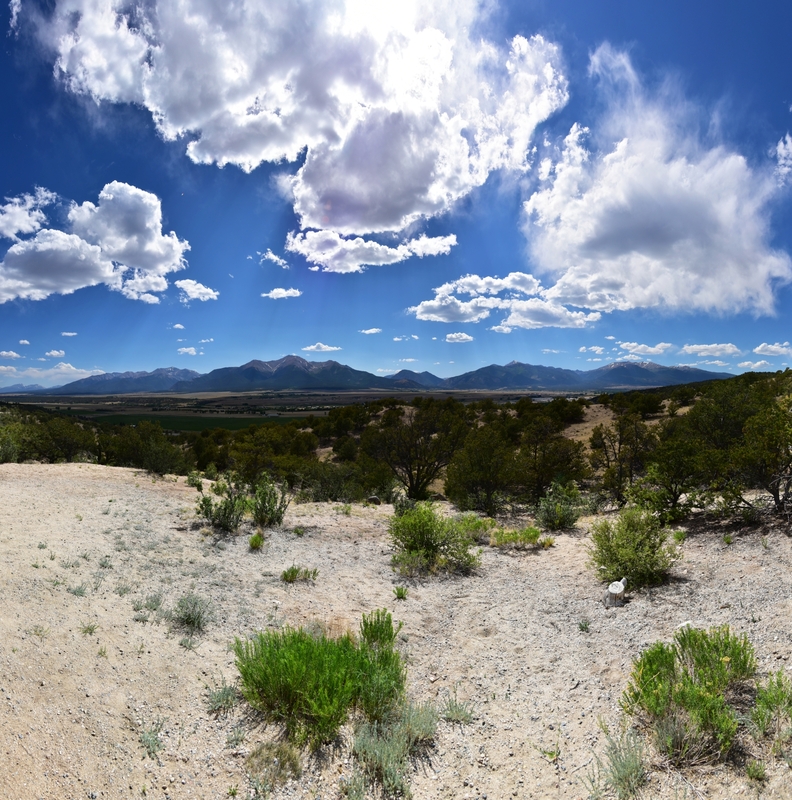 The rest of the drive up was fairly uneventful, with the exception of some very large drop-offs as the path became a shelf road. It was slightly unnerving to have the truck lean slightly while skirting the edge of a cliff. 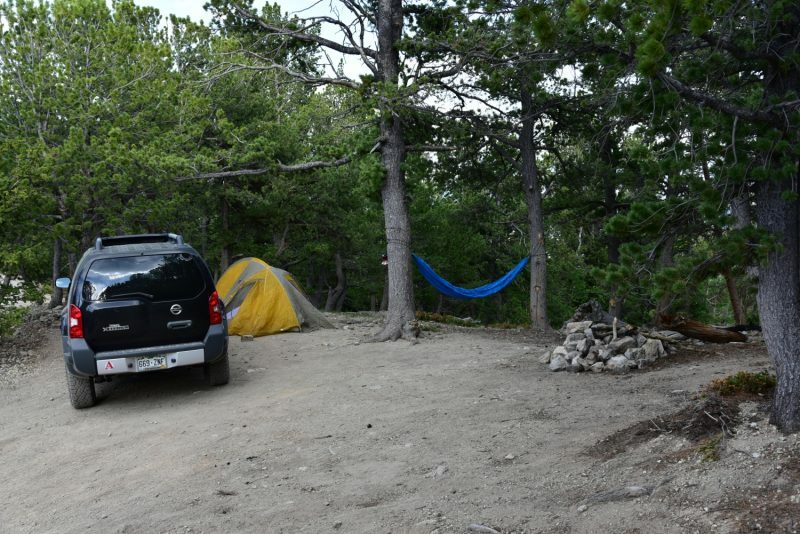 Once we reached the radio towers, we continued on the road for another 0.2 miles and found a lovely campsite with room for our tent, two trees to tie our hammock, and spot for the truck. 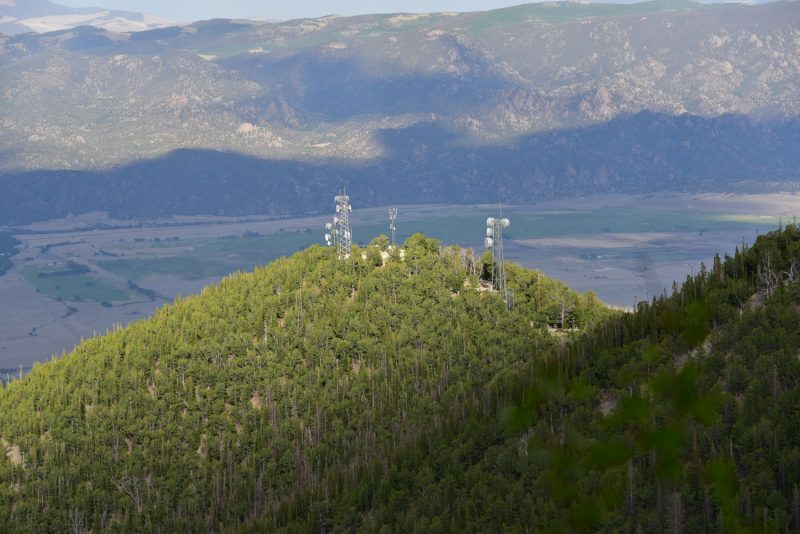 Seen below is a set-up of our camp, the radio towers, and wandering around the area prior to our hike the next day. The temperatures were cool, but not cold as the sun began to set. We hiked up the road a bit further to enjoy the sun setting. 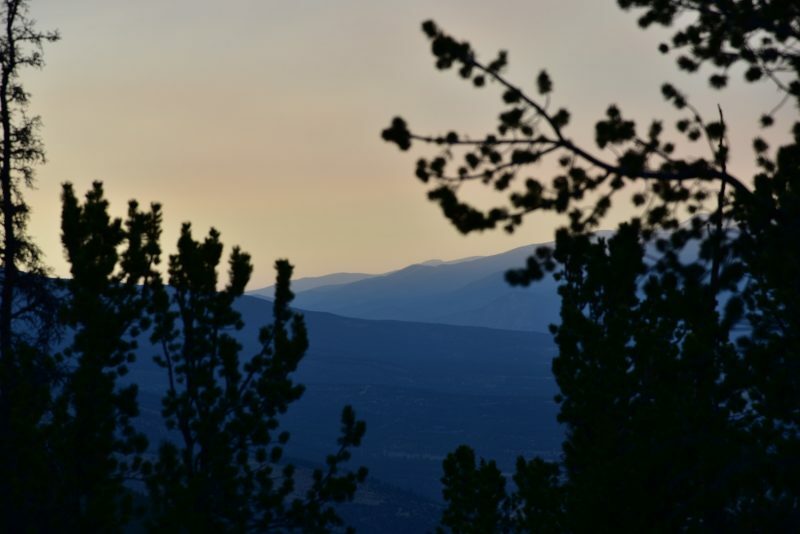 Several spots had openings among the trees that offered views of the town below. 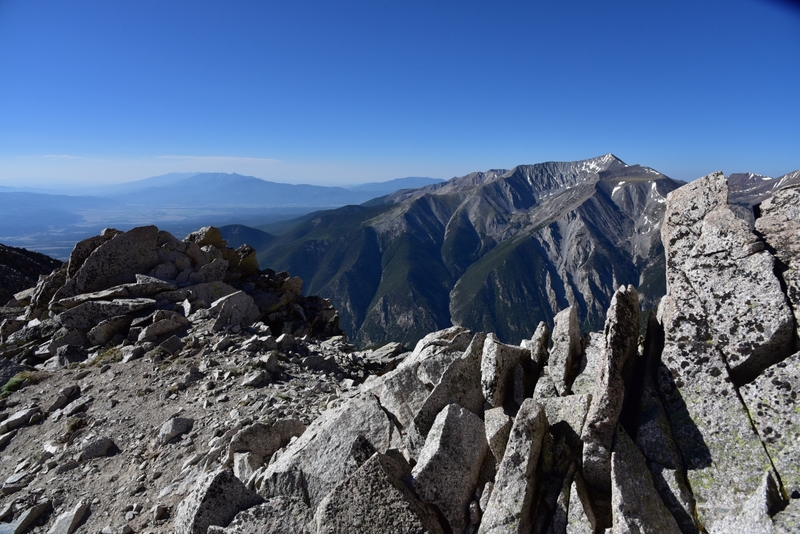 As we hiked a little further, we also gained our first views of the summit of Mount Princeton. As it got dark, we retired for the evening. It was mostly a quiet night, with the exception of some strange noises at 3:00 am. At first, we thought it was the Colorado 14ers Initiative group perhaps working on something for the next morning. Their group was camping near us. However, as the noise got louder, it sounded as if it was coming from the car. We quickly flipped on the lantern, and made some noise, and the scrapping/grinding noise stopped. We never figured out what the noise came from, but we think some forest creature was attempting to get into our vehicle. At least this disturbance gave us a glimpse of the night sky. The inky black sky was dotted with a plethora of stars. The views were brilliant and such a amazing treat when coming from the city lights of Denver. A short two hours later, the sun began to rise. It was time to get moving. All ready we could hear the few other hikers and CFI workers getting ready to start their day. We began our hike at 6:20 am. The morning temperatures were in the upper 40’s, but we quickly ditched our jackets as we made progress up the road. 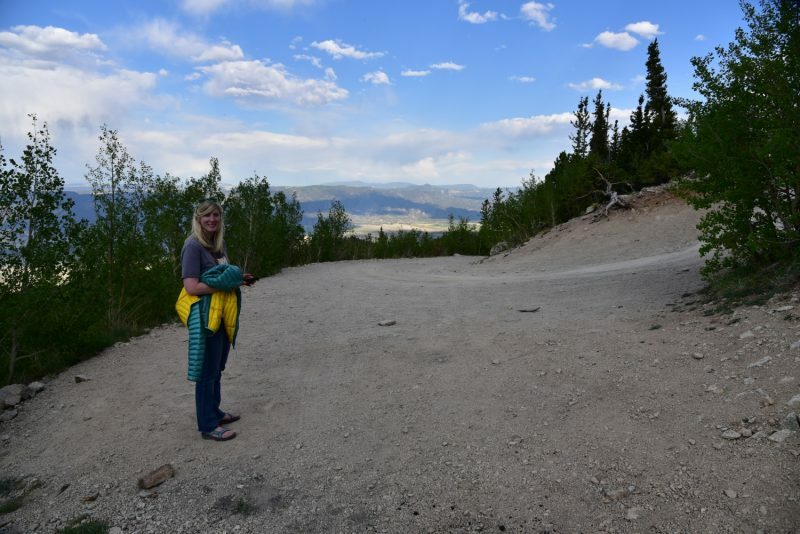 We continued to follow the 4WD road up for what seemed like close to a mile where we reached around 11,800 feet. As views of Tigger peak appeared, we began looking to our right for the trail turn-off for Mount Princeton. 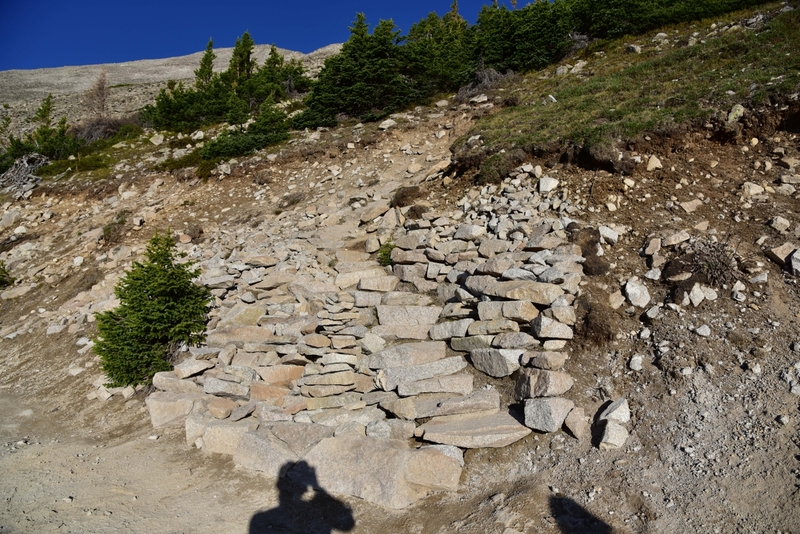 There is a large stone staircase that marks the start of the Mount Princeton Trail, and we didn’t have any trouble locating it. Online forums mentioned it can be easily passed by if snow is covering the steps or if you aren’t paying close attention. 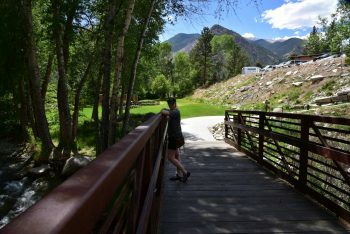 Missing the turnover will take hikers up the road to the top of “Tigger Peak” and then down the connecting ridge to Mount Princeton. This is the winter route to Princeton, and will add some distance and elevation gain to the day. 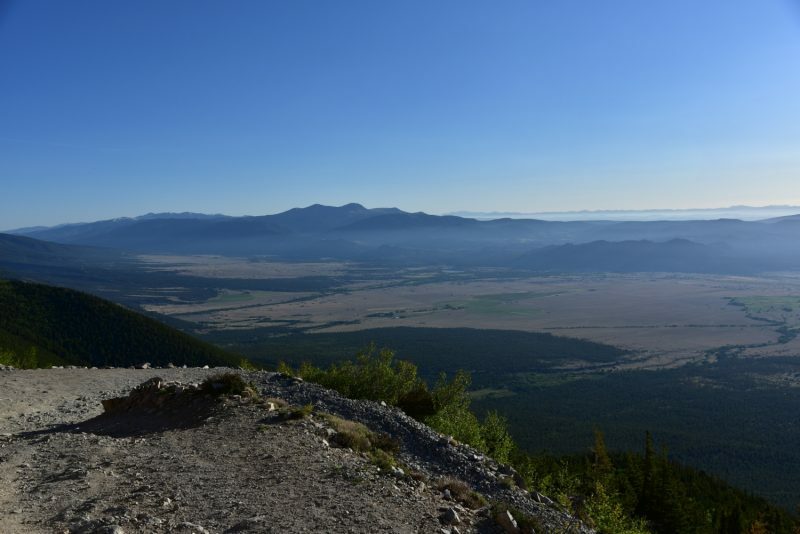 Seen below are photos of the hike up the road and the turn-off to the Mount Princeton TH. We were thankful to ditch the road and continue our journey on an actual trail, even if that trail became a talus field soon. 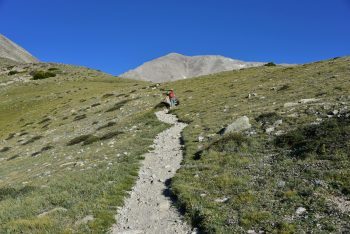 We crossed the north side of “Tigger Peak” on relatively smooth trail for about a quarter of a mile until we reached the gullies. The trail crossed through mostly stable rock, and the elevation gain through here was modest. 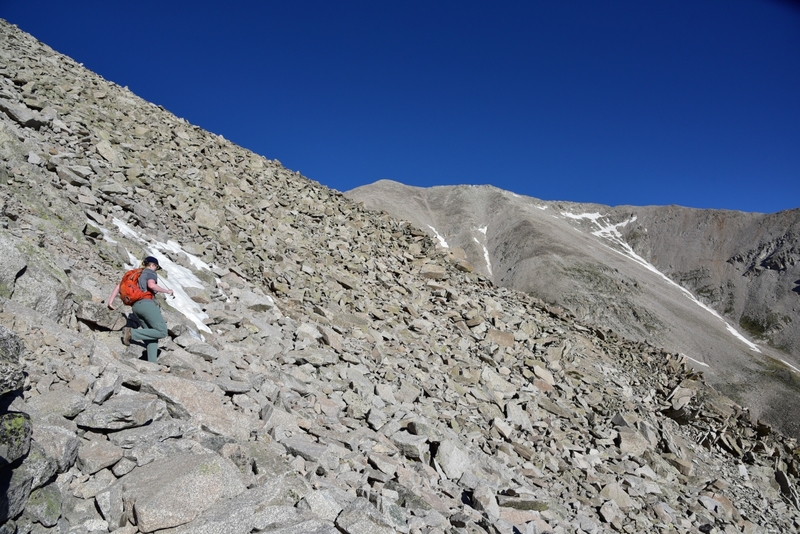 There was one remaining snowfield to cross when we summited on June 8th, but the section was well-boot packed and we had no trouble crossing. 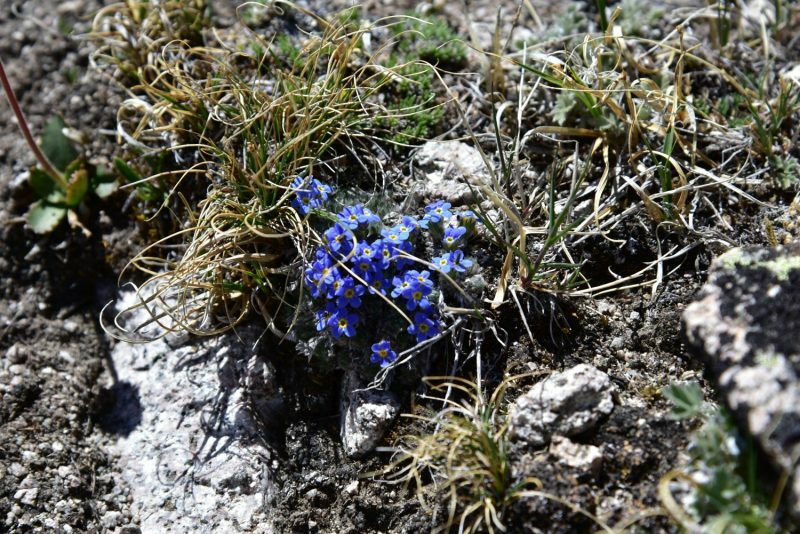 It was truly astonishing how little snow is left in the high country this early in the year, and also a bit concerning. 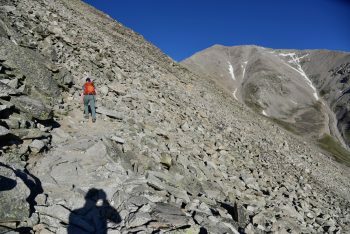 As we hopped and skipped our way over boulders, we could see the remaining route in front of us and the summit of Mount Princeton. Compared to some of the other 14ers, we thought it honestly didn’t look too far away. 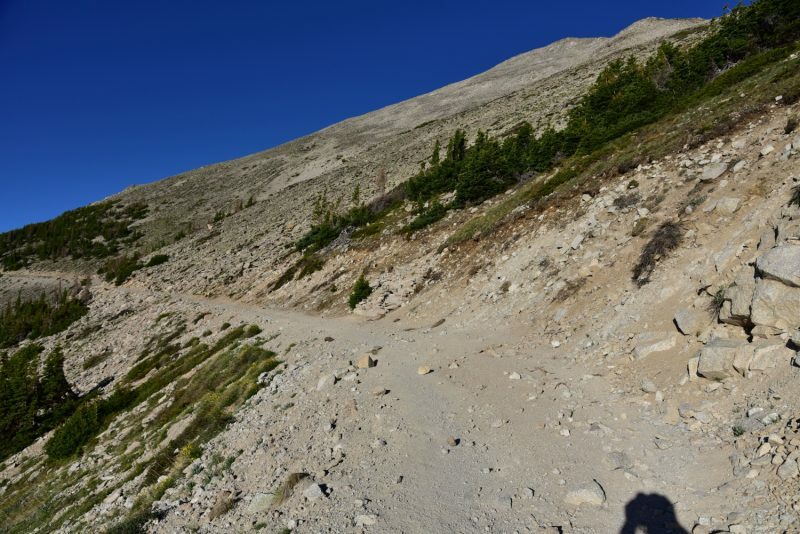 Seen below are photos of the start of the Mount Princeton Trail and the fun gullies we had to cross. 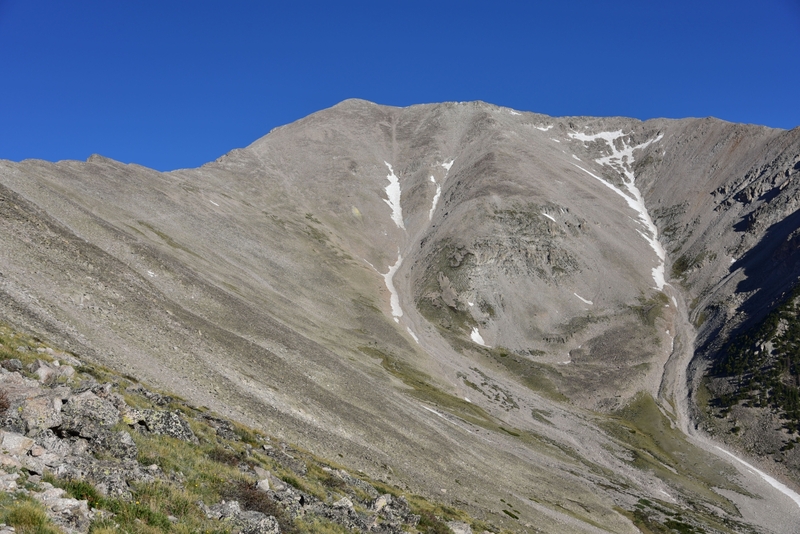 If you look closely, you can see the faint path through the gullies leading towards the summit. 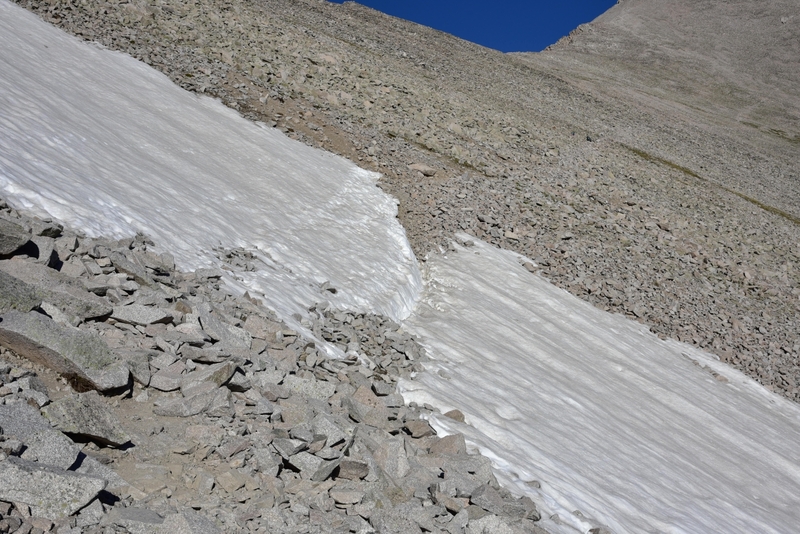 Shortly past the snow drift, the trail veers left to gain the ridge. 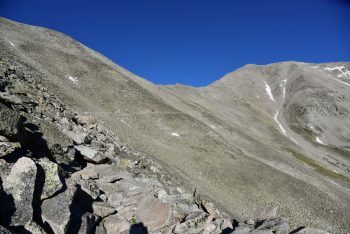 We followed the series of steep-switch backs up the ridge and were greeted with some cold wind, but also striking views of the nearby 14er, Mount Antero. We could still see some remaining snow hanging on to the nearby slopes. 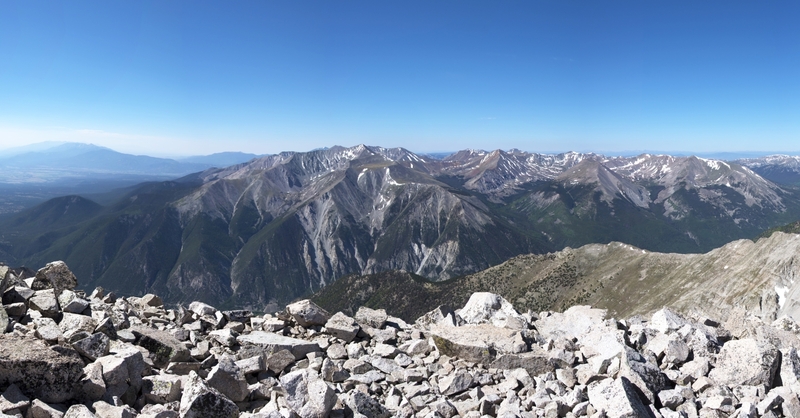 We paused for a moment on the ridge to enjoy the views before carefully picking our way along the talus ridge towards the summit. 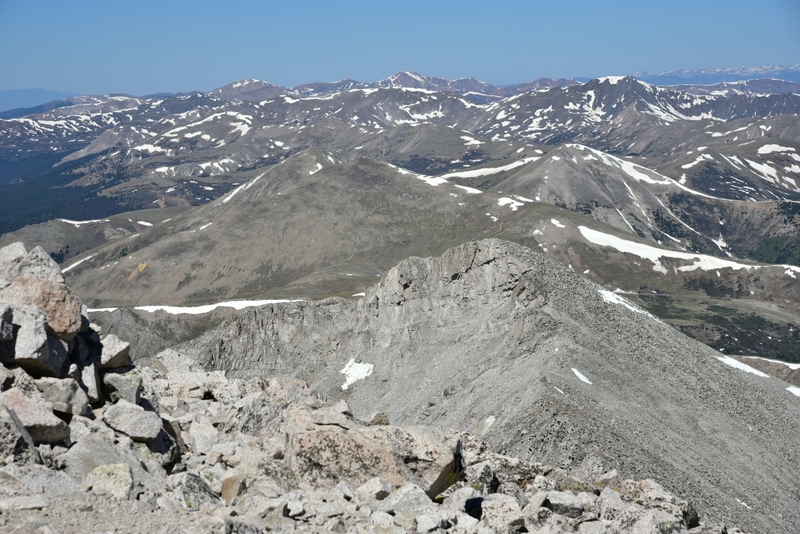 The terrain and elevation made the hike slow going once we gained the ridge. 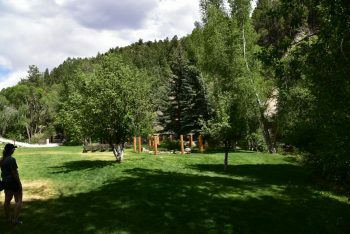 We were now above 13,000 feet for the first time in several months. Despite the heaviness in our legs and strain on our lungs we could see the summit, and it looked so close. We continued to weave through large spider-webs and subequently pass large spiders that looked to be Mountain Spiders (Aculepeira carbonarioides). They were out in the bright sun, basking. 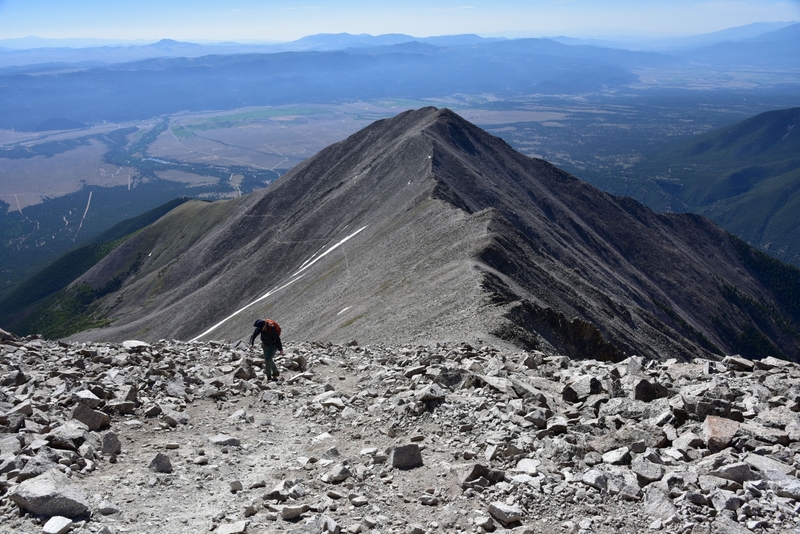 Seen below are views of Mount Antero from the ridge, and the slog up the steep rock leading to Princeton’s summit. 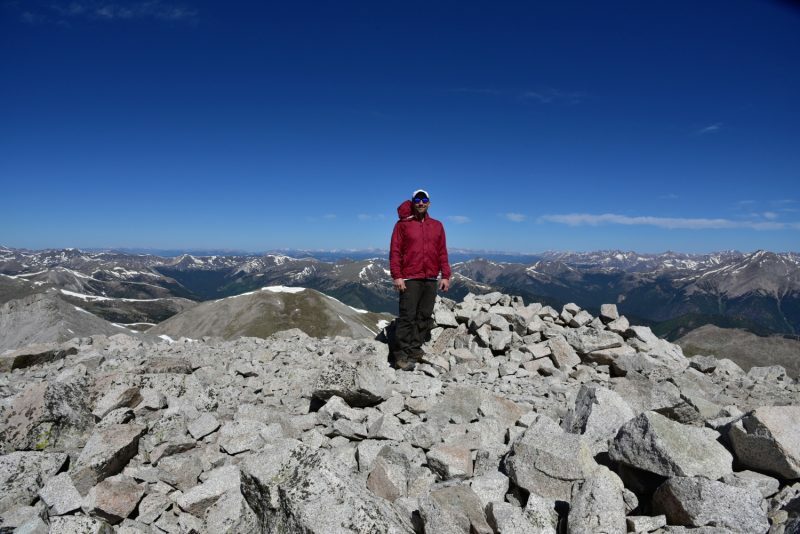 The final 900 feet (elevation gain) or so to the summit were tough. 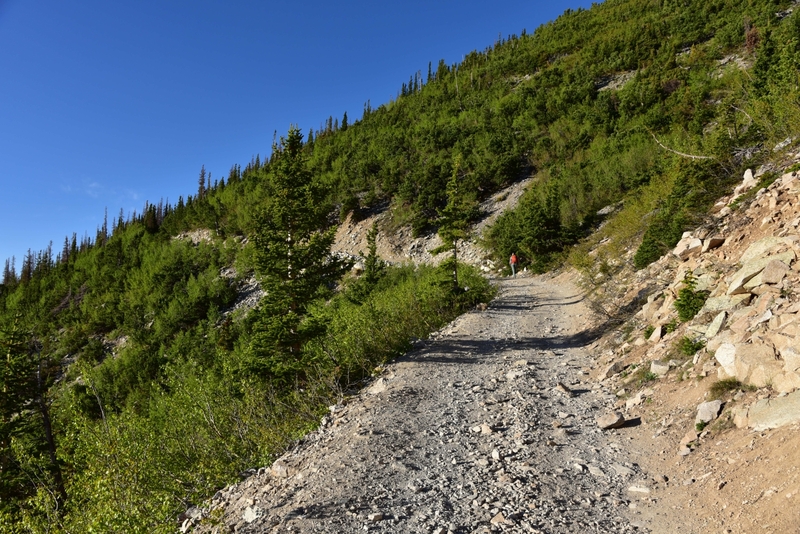 The trail turned to loose scree and dirt and was very steep. It took more energy to balance and gain elevation at the same time. Despite looking close by to us earlier, at this point, it seemed just out of reach with each additional step. At around 9:30 am, we finally topped out. The sky remained a perfect hue of blue and clear. We could see for miles in all directions. 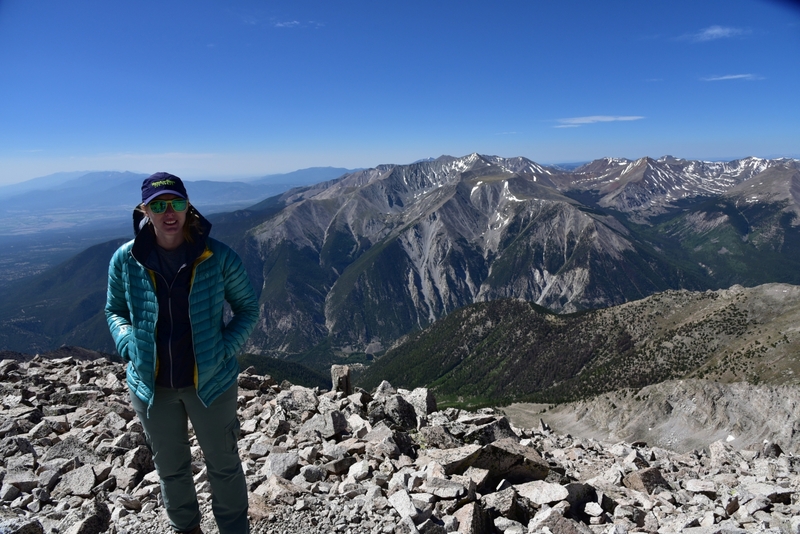 There were nice views of much of the Sawatch range including Mount Antero and Mount Yale and to our east we could see all of Buena Vista below. We took reprieve from the sudden gusts of wind in one of several rock shelters built on the summit for around half an hour. Seen below are photos from the Summit. 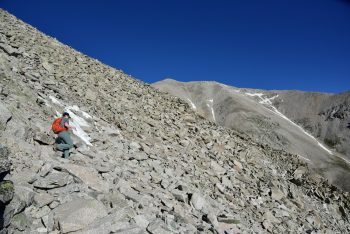 Interestingly, the descent from Princeton’s summit was not as fast as normal. 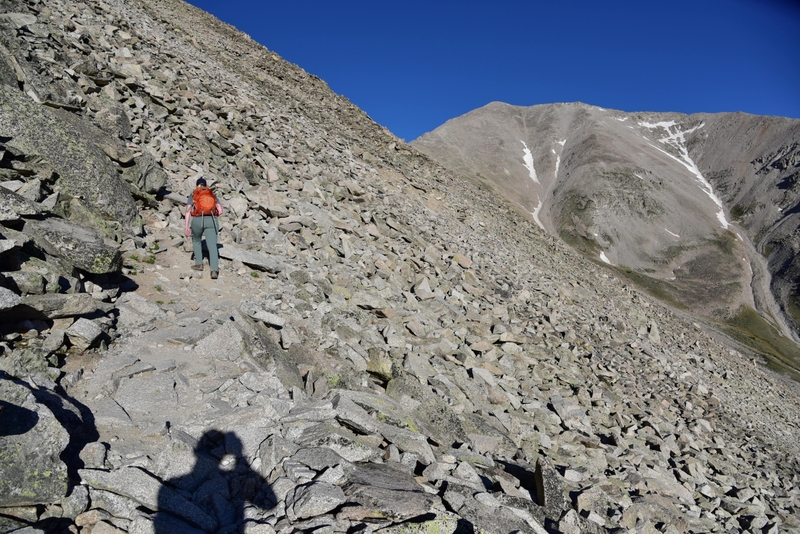 The loose dirt and scree and series of boulder hopping across the gullies made for slow going for most of the journey back to the road. 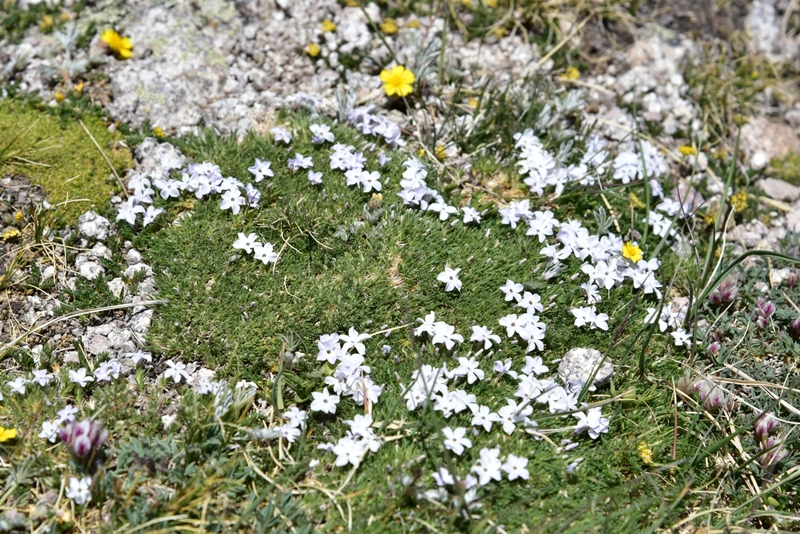 We took our time and ensured good footing, and also admired much of the alpine flora. 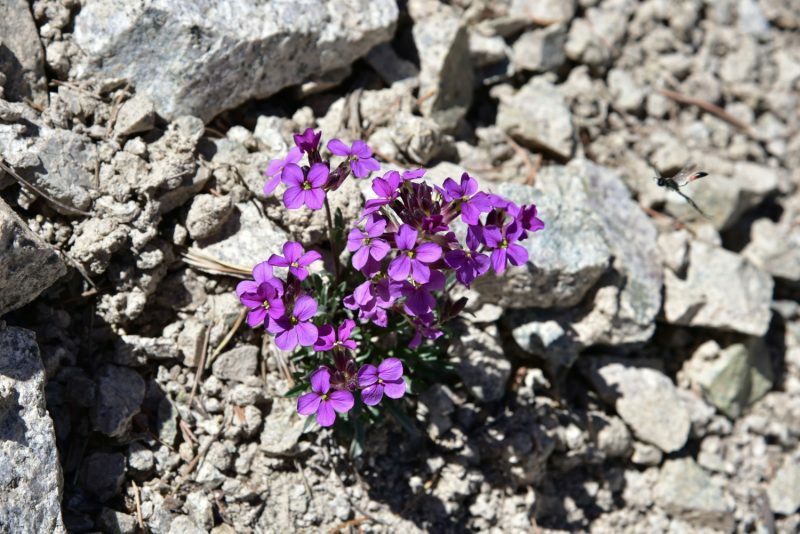 It’s always amazing to see the brilliant display of flowers that manage to survive the harsh conditions of this environment. 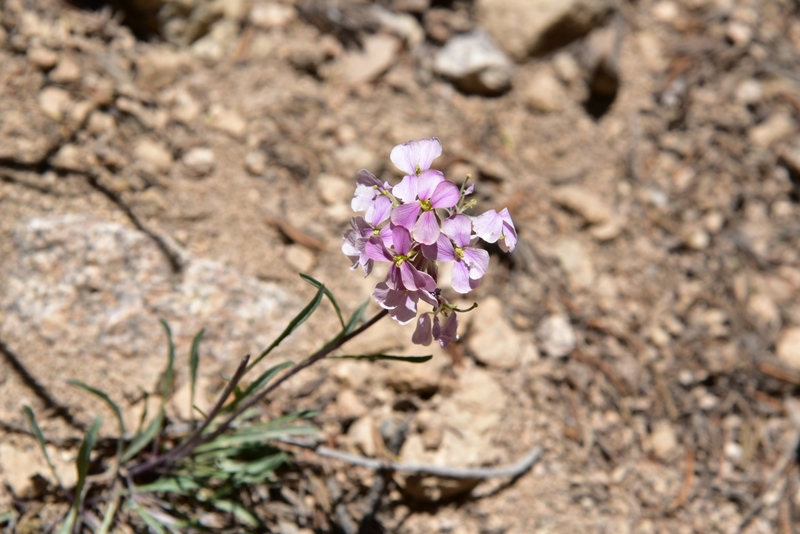 Seen below are a view of the many varieties that dotted the grassy slopes and the crevices between rocks on our descent. We reached our camp around 12:30-1:00, roughly 6 hours after we began. Though this hike can be done much faster, we took our time with footing and let ourselves adjust to the workload at high altitude since we haven’t been to 14,000 feet in a while. As we drove back down the 4WD road to the lower parking lot we had the road to ourselves, which was very nice. We stopped by the Mt. 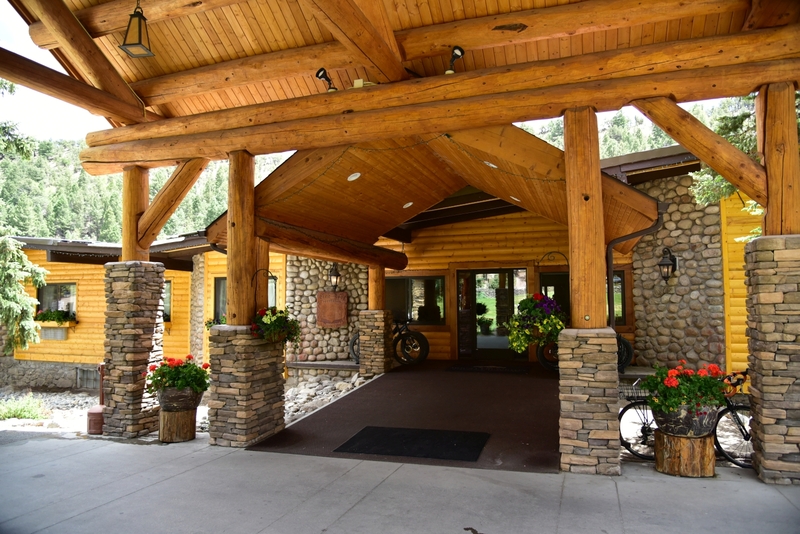 Princeton Hot Springs Resort — only a few miles from the trailhead — and had a nice lunch. It was far too hot to want to soak in hot springs for us, but we did walk the grounds, and we want to come back when the weather is cooler. 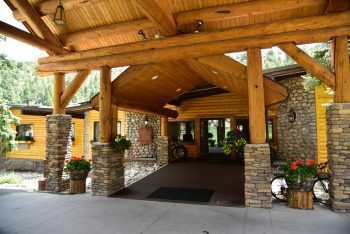 It was a quick drive back to highway 285 and as we passed Johnson Village we stopped briefly to look back at what we had just done. Even from miles away, Mt. Princeton stood prominently over the entire range. 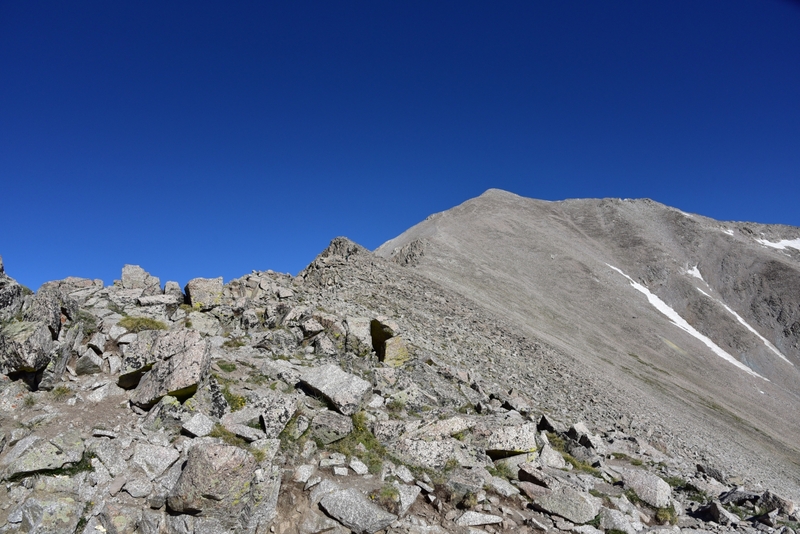 We could make out the trail to the summit and see the small snow field we crossed. Shavano, Antero, Princeton, Yale, Columbia, and Harvard were all in view (see below). It was a humbling end to a great trip and we look forward to coming back for more adventures.